Presbyterian Senior Living's (PSL) Environmental Stewardship and Sustainability Initiative is based on a simple principle: Everything that we need for our survival and well-being depends, either directly or indirectly, on our natural environment. For PSL, this means being better stewards of our environment and our resources—allowing us to enrich our mission to serve seniors and provide healthy, clean, energy efficient senior living communities. Our goal is to maintain the balance between the economic way of thinking and the person-centered focus to improve the lives of those we serve. As a faith-based mission, we would like to share the message that it is important to care for the earth and all that is provided for us. 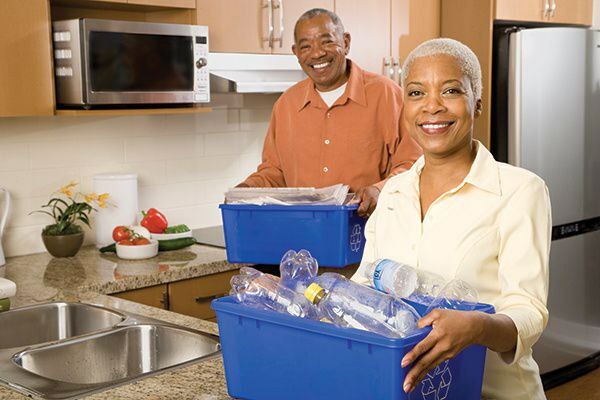 In order to provide healthy environments for residents and staff, we're focused on reducing operational costs for energy and water consumption, utilizing alternative energy sources where possible, reducing waste and increasing recycling. Click here to download the Stewardship Matters brochure.